Raun Kercher is reflecting on the innovators of american jazz. The Kings of Jazz series of artwork includes renderings of many of the most influential groups and musicians that were a part of the creation of the music genre. 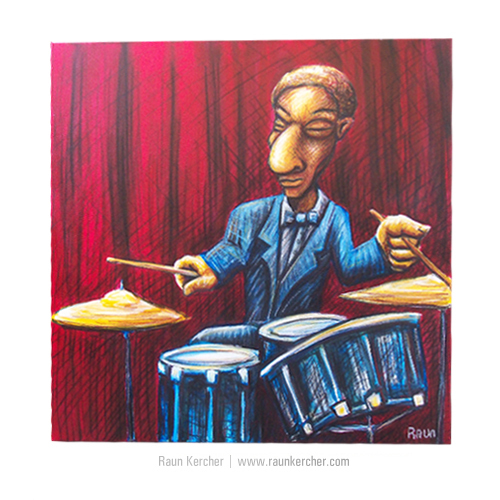 See Raun Kercher’s Art live at upcoming exhibition events. Sign up for the newsletter and you will receive updates on future events. website design by Raun Design. ©2019 Raun Kercher. All rights reserved.